Capitalism is dying. What will replace it in the Coming Revolution? Without growth, capitalism will collapse. Automation and globalized production are radically reducing the need for labor. Massive debt loads are mortgaging the future for current needs. Natural disasters and wars are the only way to bring back prosperity, though temporarily, under capitalism. 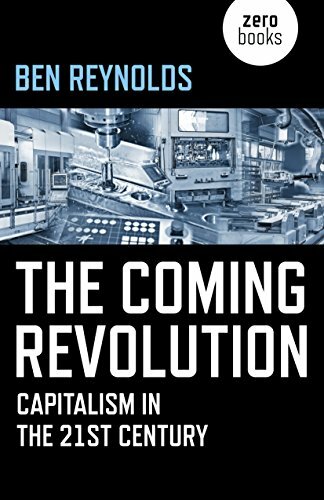 The author presents a five-stage plan for moving past capitalism and into prosperity for all. Even this Bernie Sanders voter believes that the author’s vision is unlikely within the lifetime of anyone reading this. The US doesn’t even have a comprehensive, non-work-provided healthcare system yet. However, the social and economic explanations of how we got here especially regarding the industrial revolution and the Great Recession are great. 3 stars! Thanks to Zero Books and NetGalley for a copy.